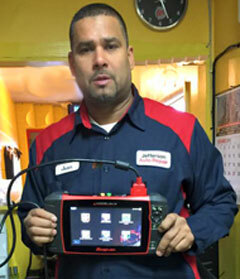 The auto mechanics at Jefferson Auto are very skilled at doing computerized diagnostic auto testing to make sure that everything is working well and also to make sure that the car is running smoothly. Automobile diagnostic testing conducted in Orange, NJ, East Orange, NJ, and West Orange, NJ can be done to detect any auto repair problems. Also, the auto repair mechanics at Jefferson Auto will make sure that when they have finished doing the computerized diagnostic auto testing on your car that it will last for a very long time but, if for some reason something doesn’t really go right you can always bring it back to Jefferson Auto. 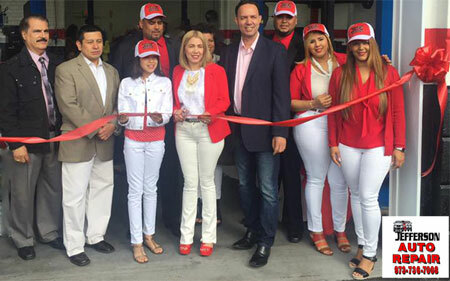 On May 15th 2017, Jefferson Auto Repair had their grand opening, which was held, at 356 Valley Road West Orange, NJ 07052. This is their new location for conducting auto repair in West Orange, NJ and the neighboring communities.